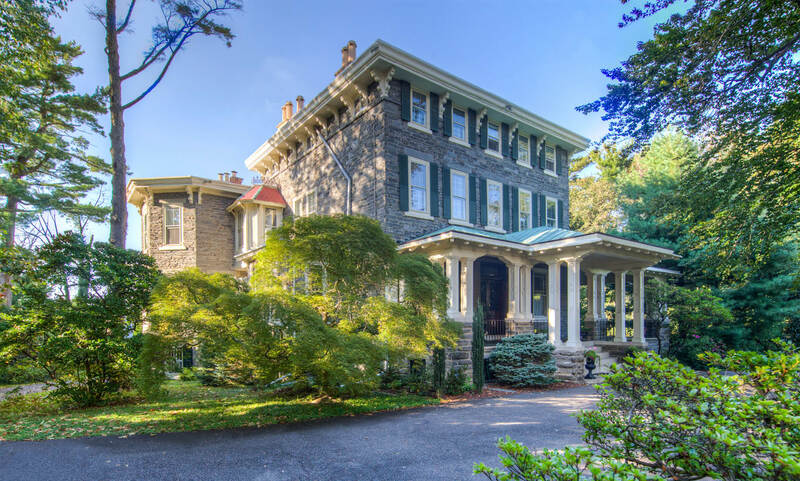 Welcome to 31 Summit Street, an exquisite historic home in the heart of Chestnut Hill. As soon as you enter the circular drive, you are immediately struck by the tranquility of the wrap around porch and drawn to the inviting double front door. This stunning Victorian offers amenities that today's buyer dreams of, while still maintaining the original character, high ceilings, expansive spaces, oversized windows and craftsmanship of a grand home. The spacious first floor includes: Sun-filled large living room with bay window, multiple fireplaces and pocket doors leading to oversized family room, adjacent updated granite kitchen with stainless steel Thermador appliances and custom cabinetry, large dining room perfect for entertaining and a gorgeous sunroom addition rounds out the impressive first floor. The second floor includes: Master suite with oversized full bath, walk-in closet, and adjoining office/sitting room, three additional bedrooms with ample closets and updated hall bath. The third floor has wonderful flexibility with bonus spaces of three rooms and a full bath; perfect for au pair, in-law, office space, media room or additional bedrooms. All this and newer roof, New 3 zone HVAC, interior and exterior shutters, exceptional wood floors, some original stained glass, and finished basement spaces with walkout entrance and fireplace. This exceptional property offers a private large yard with patio, gardens and mature landscaping. Designated a "certified wildlife habitat," uniquely situated just steps to the heart of Chestnut Hill allowing for evening strolls, short walks to two train lines, the restaurants, coffee shops and all the charming and convenient amenities "The Hill" has to offer. This is truly one-of-a-kind tranquility in an urban setting. Walk to everything "The Hill" has to offer!